NEW YORK—In one of its most comprehensive analyses of school data to date, the Independent Budget Office (IBO) painted a detailed picture of the contrasts in the city’s public education system. Middle-schoolers from low-income families were more than twice as likely to fail state tests than their more affluent peers. And the chasm, dubbed the “achievement gap,” is probably even wider, researchers found. IBO found out last year that one in four children in the higher income category was designated as such because he or she failed to fill out a form to prove otherwise. Then, last year’s report showed the “mislabeled” children had the worst test scores of all income groups, hinting the higher income students probably scored even higher. IBO noted that this year it couldn’t compile a breakdown, as the city’s Education Department failed to provide the necessary data. It intends to prepare the analysis once it gets all the data. “Closing the achievement gap,” whether between rich or poor, or between ethnic groups, is a constant mantra of education leaders, yet the new tests introduced last year pushed the numbers further apart. The state introduced new middle school standardized tests made by Pearson publishing company. 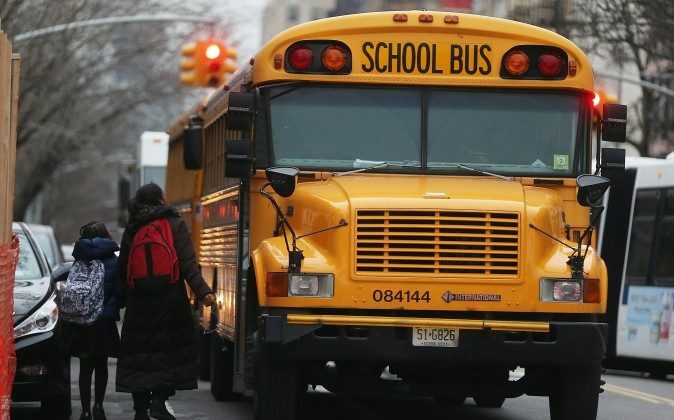 The tests were supposed to be aligned with the Common Core, a set of education standards supported by federal grants promising better preparation for college. But less than a third of children were able to pass the tests. About 35 percent of Black and Hispanic students made it through the state tests in the previous years. But the new tests pushed a majority of them under the proficiency line, while many white and Asian students, though scoring lower, scraped through.